High school student Bryan Stromer has written a terrific piece in the New York Times/WNYC "SchoolBook" feature about his experience applying to top New York City public high schools. Bryan has a learning disability and cerebral palsy and was given twice the standard time to take the highly competitive exam that is required for entrance to the most demanding academic public schools in the City. He scored well enough to earn a place at the prestigious Brooklyn Technical High School but decided to continue his high school career at the New York City Lab School where he had attended middle school. Why? Because there was only one special education teacher for more than 5300 students at Brooklyn Tech, the largest high school in the city, but where less than one percent of the students have special needs. Another perspective from students with learning difficulties appears on the website Smart Kids with LD, where a piece by Sheryl Knapp includes the views of four middle school students who discuss some of the practical issues they deal with in their schools. 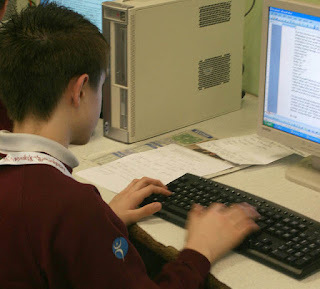 Pull out supports, for example, sometimes interferred with the activities going on in their regular classroom. Most of the students noted that neither they nor their parents had sufficient input into the way their program was implemented. 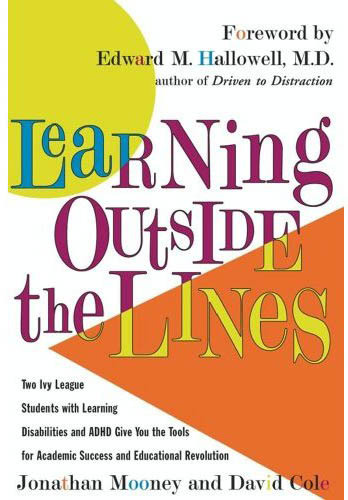 If you have not yet read the book Learning Outside the Lines by Jonathan Mooney and David Cole, two Brown University graduates with learning and attention issues, you may find their perspectives and suggestions useful. What worked for them might not work for everyone, but they present their experiences in a very readable, entertaining format. This book has been around for a while, but it is a solid member of the "in their own words" genre.